You can also combine it with a tablespoon of black rice vinegar. This is an excellent dip for Gyoza, pot stickers, or other dumplings. It blends well with the smoky flavor of black rice vinegar. 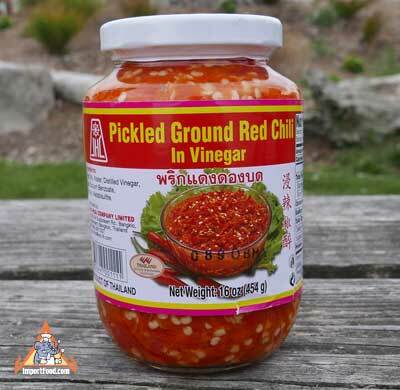 Ingredients: red chili pepper, vinegar, salt, sodium benzoate as preservative.